The following is a case study of Lazarus as a business application development tool. In this case study we review the design and inner workings of a front facing reporting multi-platform application for desktop computers. We will also review several back end team-oriented tools used to configure reports and provide documentation for end users. The application presented below solves a common problem for business users, to retrieve nicely formatted data related to operations of their business, helping them understand their performance and identify any potential problems. We will not be reviewing the actual reports in this study, rather the tools used to select, filter, and execute reports. In this endeavor, there are a surprisingly large number of innovative ways to execute these tasks. A number of innovative features are present in the reports application in our study. The first innovative feature, which is the least discernible, is that everything presented in the user interface is built from data sources. Report names, groups, and types all come from data. Report criteria is pulled from team administrated data and converted into user interface controls. Report operators are pulled from data as well as report criteria data types. Everything used to generate a report is pulled from data. 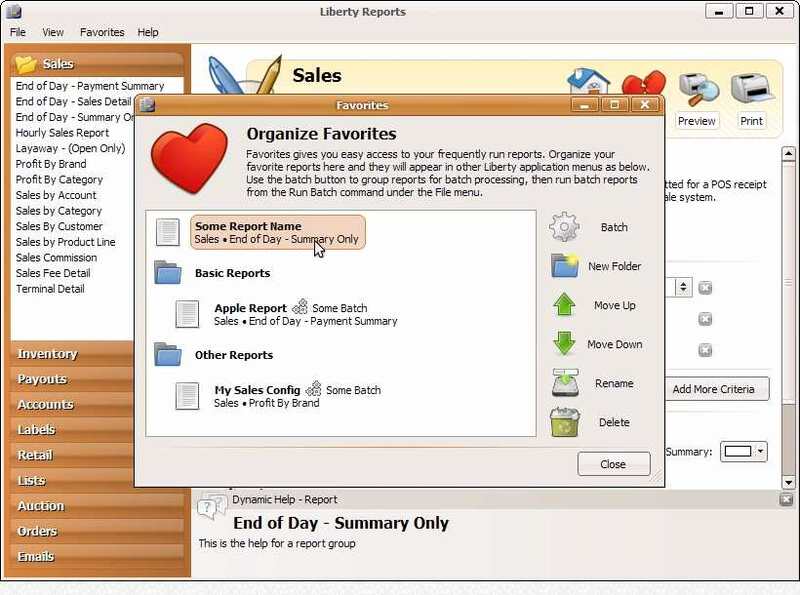 Additionally, reports can be configured by the user and stored for convenient recall in other applications. Some criteria can even be derived dynamically from formula-based phrases such as "last week", or "this year", which are evaluated each time you run a report. Finally, with regard to innovative features, this application allows reports to be placed into batch containers. Batch containers allow groups of reports to be run at once, without the need for user selection or input of further criteria. This case study demonstrates just how capable Lazarus is in the desktop business application arena. In the hands of even a single capable developer Lazarus has the potential to create business applications with a high degree of usability for end users, and its multi-platform capabilities offer more options for businesses to reduce their IT infrastructure costs.